As part of our growing enthusiasm for making the most of each season we are taking each opportunity for indulging in the very best that the countryside has to offer. Autumn is prime time for gathering: nuts, berries, seeds for planting. 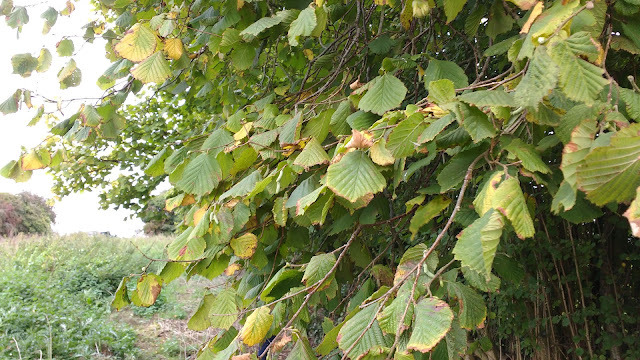 Earlier in the year we stumbled across an excellent source of hazelnuts and I earmarked it for a revisit come September. 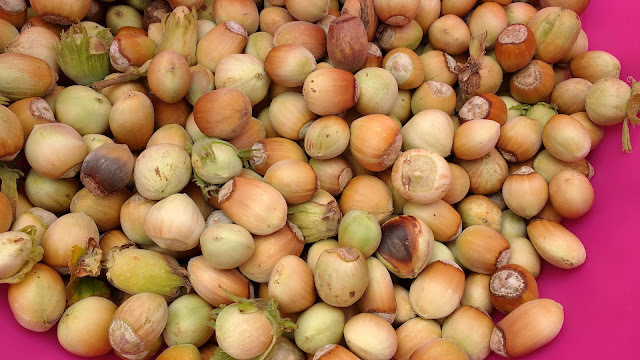 Mindful that squirrels are happy to smash and grab well before they're ripe enough for human consumption we were always going to be at a disadvantage and the tree I saw hundreds of nuts on was almost completely bare when we arrived. 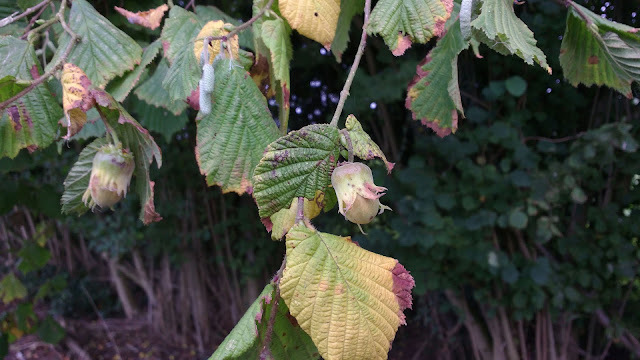 However, some more trees nearby had a veritable glut by comparison so we picked away merrily, blowing raspberries to Mr Squirrel. Next I'm desperate to find some sweet chestnuts. Fingers crossed! You are very good. Alas, I am not a huge nut fan. 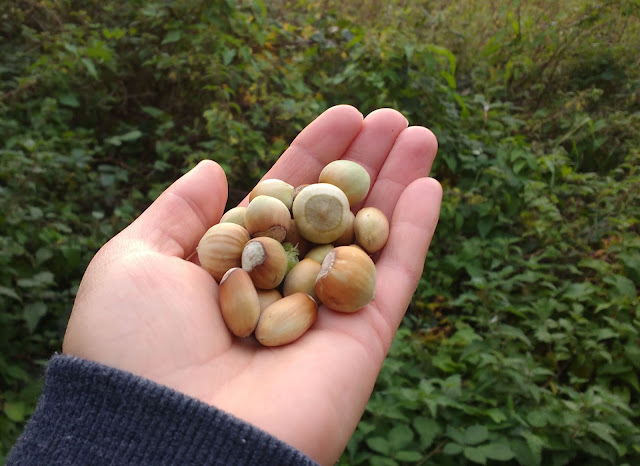 I do remember picking hazelnuts from my Dad's tree in the rain with my little sister one year. I enjoyed the actual foraging/harvesting, just not the actual eating. I have such a great mental image of you blowing raspberries at bemused squirrels!